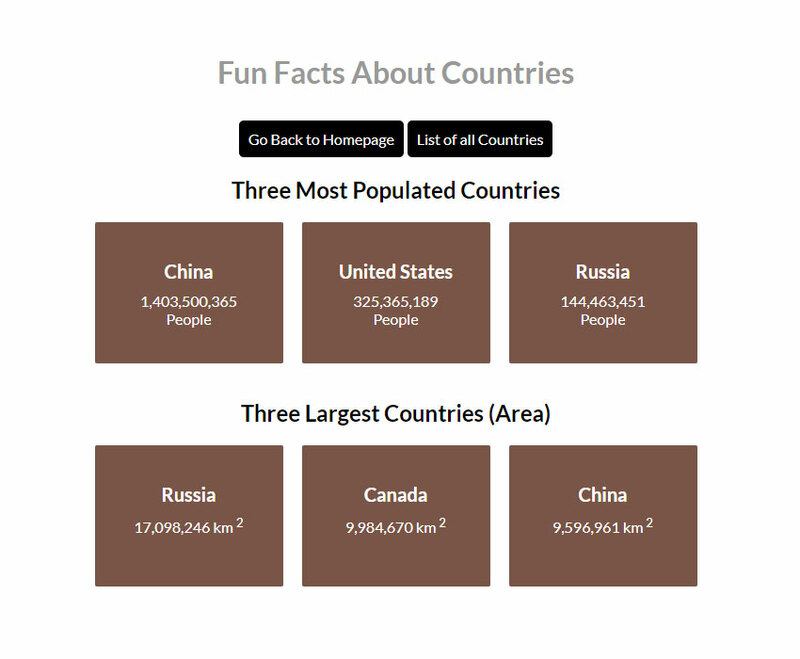 The following image shows the "all countries page" or AllCountriesComponent of our app. The layout of this component is very similar to the HomeComponent. 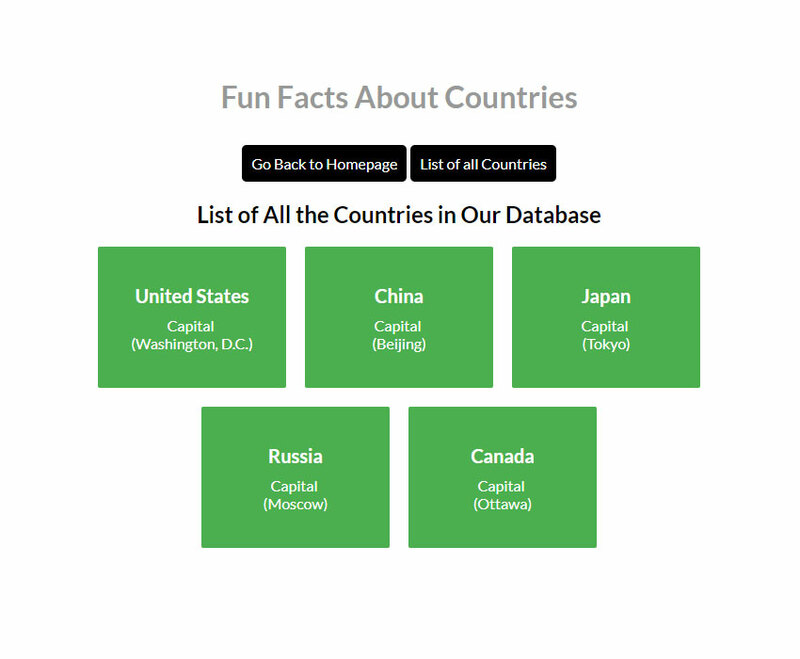 The only difference is that this time we are listing all the countries along with their capitals. After you ran the ng new country-app command, the Angular CLI created a bunch of files and folders for you. Seeing so many files can be intimidating as a beginner, but you don't need to work with all those files. When creating our country app, we will only be modifying the files already existing inside the src/app folder as well as creating new files in the same directory. Right now, you should have five different files in the src/app folder. These files create an application shell which will be used to put together the rest of our app. The app.component.ts file contains the logic for our component written in TypeScript. 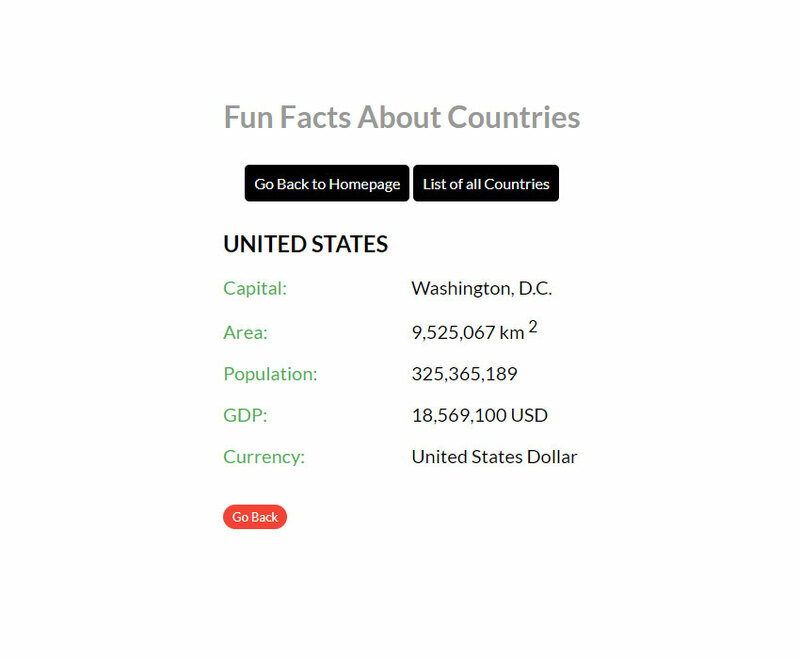 You can open this file and update the title property of the AppComponent class to 'Fun Facts About Countries'. The app.component.ts file should now have the following code.